The prospect of caring for elderly relatives who may be too old, fragile, or forgetful to manage on their own looms large for millions of women and men who are unprepared for the difficulties such an experience can bring. Written by a daughter of aging parents, this book takes an honest, unflinching look at aging in America, weaving together personal stories with current medical information to trace exactly how social and health care policies are affecting daily lives. Judith Steinberg Turiel addresses such topics as healthy aging and independent living; mental impairment brought on by Alzheimer's, other dementias, and depression; women as caregivers; health care rationing; the power of prescription drug makers; end-of-life care; and prospects for Medicare. 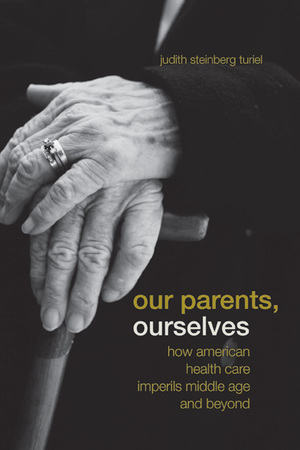 Her book clearly demonstrates the pressing need for quality health care for people of all ages—through universal, publicly funded health insurance. Judith Steinberg Turiel, a freelance medical writer with an Ed.D. from Harvard, is author of Beyond Second Opinions: Making Choices about Fertility Treatment (1998) and coauthor of Preventing Preterm Birth: A Parent's Guide (1988). She was research liaison for DES Action, worked with the Coalition for the Medical Rights of Women, and currently serves on the Board of Directors for LifeLong Medical Care in Berkeley, CA.